Unicycle Rose: Will you cross them for Unicycle Rose? The phone rang this afternoon and my agent was on the other end! I got called back for a second audition in Hollyweird for the Big Lots Commercial. The first audition was odd because I could barely ride my unicycle in the small room, especially with a sequenced-jester hat on and stupid-elbow-length-red gloves that made my hands slip off the wall. Other folks audtitioning got waaaay into the circus theme; jugglers dressed as clowns and an acrobat with full-body paint. During the audition I talked into the camera, formally introduced Blanche, gave Unicycle Rose a plug and smiled a bunch while sucking-it-in the entire time. Something must have gone right because I’ll return with my Stage Mom, Overboard, to Ross Lacey Casting tomorrow. In true-Overboard fashion she wanted to paint my face like a circus clown and advised me to practice riding in circles. She makes me laugh and I appreciate her enthusiasm and company. Whether I get the gig or not, the process is exciting. I rode Blanche seven miles the last couple days to keep the wheel rolling and my balance keen. 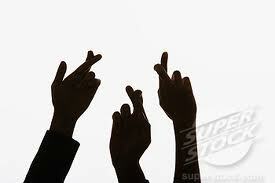 Will you join me in keeping fingers crossed that things will go well tomorrow? Wow, exciting news. Good luck.